Tag Archives: horse welfare; equines; horses and ponies; showing. I have been well and happy for so long now, I think I am just an ordinary guy. and they need more grub, so the long and the short of it is, I have been spending a lot of time on my own. Luckily, I enjoy human company, so it’s not too much of a bind. Yesterday, she hitched the trailer up and I wondered whether I was going to have a day out. I do enjoy a day out. But no, she went off this morning with an empty trailer and arrived home with a pony. Now, she used to do a lot of this, so we don’t take much notice, but it turned out this time was special. She brought William home with her and he is going to be MY FRIEND. We spent a bit of time gurning through the gate at one another, then we were allowed to play. William is only young, but he shows promise, so I have let him share my birthday cake. (I am also changing my name to Big Tim). This could be my best birthday ever! This entry was posted in Hints on horse care, Horse welfare, Life and Times, RSPCA and tagged Conditions and Diseases, equine welfare, equines, horse welfare; equines; horses and ponies; showing., horses and ponies, laminitis, life and times, RSPCA on December 12, 2017 by sallylearoyd. Look out! It’s my birthday! Today is my official birthday, when I celebrate the beginning of my life here. I have a good life now, but I did have a bit of a false start – you can look at my story here. This year’s birthday will be unusual because I am not expecting any visitors. I shall have my cake as usual, at 4.30 pm, because that is the time I was collected from the side of the road. I shall also have lots of edible treats which I will share with my friends, Hooligan, Paddy, Bramble, Tawny and Tabitha (as long as she doesn’t make rude faces). The thing is, I know I will always get one visitor, every single day. It’s usually the same one, but sometimes it’s Sarah or Joanna or Steve or the other Sarah (Happy Birthday Auntie Sarah!). They never fail to come. Even if I don’t need anything, they check that I am OK in the field – at least twice a day. Not all ponies and horses are so fortunate. Some owners don’t bother in bad weather, or if they are late home from work. Some owners forget they have a horse when it’s the winter and sadly, many of my poor friends will starve this winter on their tethers or in wet, muddy fields. If you are reading this, please look out! Don’t forget that all animals need to be checked twice a day and if you see a neglected one, do something! The RSPCA rescued me and you can report a poorly animal to them. 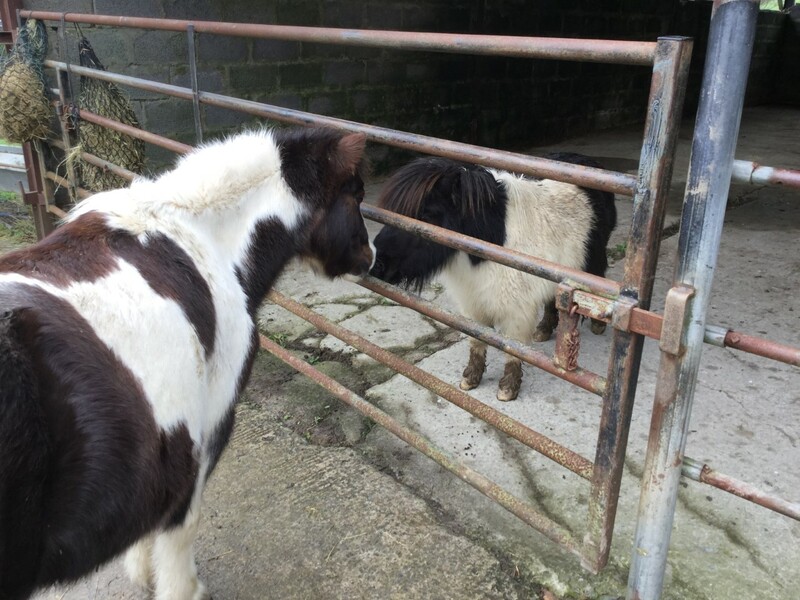 But there are other organisations as well – Redwings, World Horse Welfare and the British Horse Society all have networks of caring people who can help a horse in need. Here’s another film which explains a bit more about how I came to be here, and where she gets very serious about it all. I had fun that day, nibbling the front of the BBC lady’s cream cashmere jacket. She seemed to take it well. 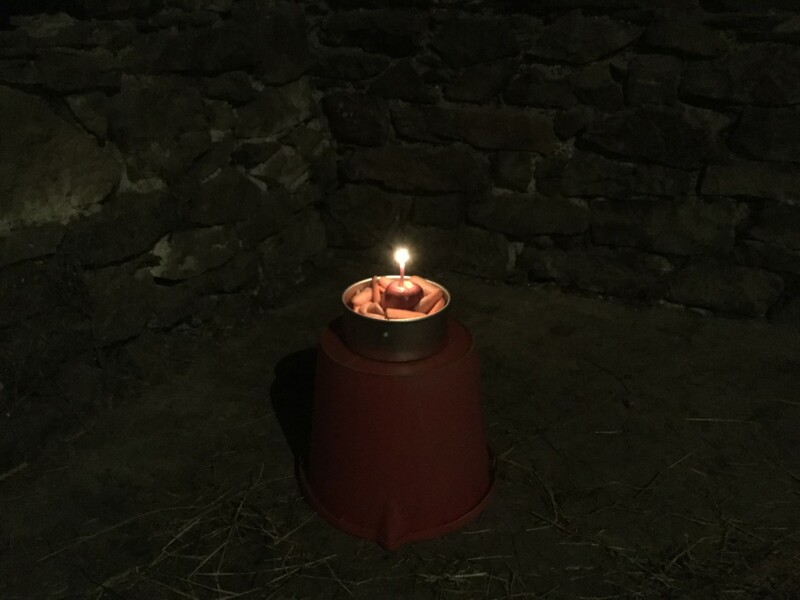 This entry was posted in Hints on horse care, Horse welfare, Life and Times and tagged Animal Welfare, Charitable organization, equine welfare, horse welfare; equines; horses and ponies; showing., horses and ponies, Redwings, RSPCA, World Horse Welfare on December 12, 2015 by sallylearoyd. Another year is upon us, with all the promise of new beginnings and better things. If you are a horse, there is a snag with all this hope stuff, and with the talk of better things, because things don’t really improve for a lot of horses and ponies out there. During 2014, there have been some very sad developments in the horse world, accompanied by an upsurge of reportage. You see, the thing about sensationalism is that it deadens the reactions over time. Thus, the first time you saw a starved horse in the media, social or otherwise, you were appalled. The second time, you wondered to yourself ‘Is that quite as thin as that dead one I saw in the press last week?’ The next one you see looks familiar – guess you are getting used to seeing all those bones now. STOP RIGHT THERE AND THINK! When was the last time you saw someone give that pony a drink? In the snow last night, did he have some grub and a bit of shelter? Because if he didn’t, and you saw, and you did nothing, you may have become desensitised to the suffering of needy horses and ponies. It’s not your fault, but do beware of it all the same. If you love horses and ponies and you are thinking of making some New Year resolutions, please consider making this one. ‘Every time I see a horse, I will observe it carefully and ask myself the following questions. Does it have food and water? Does it have a few hours of freedom to do what it likes each day? Is anything causing it pain or discomfort? Where does it shelter from the cold and wet? 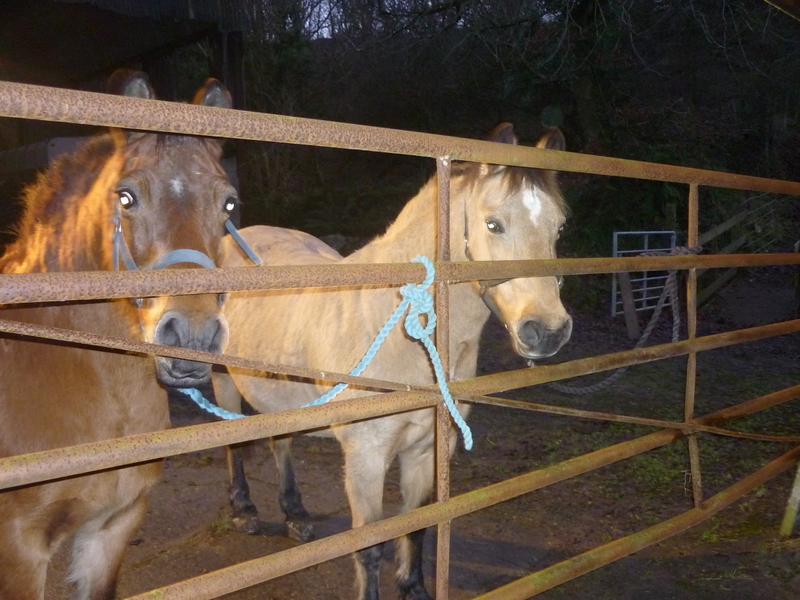 This entry was posted in Horse welfare, Life and Times and tagged Animal Welfare, Donkey Sanctuary, equine welfare, Horse and Hound, horse welfare, horse welfare; equines; horses and ponies; showing., horses and ponies, Horseworld, Paddock management, Pettifor Trust, Redwings, RSPCA, World Horse Welfare on December 27, 2014 by sallylearoyd. It has come to my attention that one or two members of the Twitterherd have been involved in some sad infringements of our charter – indeed, an all out strike of the Twitterherd right across the western world was narrowly avoided last night, when Oscar was confronted with a reinvention manual by his owner. 1. You must provide our every requirement in the way of sustenance. That means lots of fresh water (replenished every time we knock the bucket over or get our front feet in the water trough). Feed must sustain without being harmful, so I get hardly anything, whereas Teddy is still awaiting the patent for his self-filling haynet. Remember we are trickle feeders, so don’t give us the guts-ache by withholding food for long periods! 2. We must have a proper place to live. That means shelter from the storm, freedom to gallop about for more hours than we have to stand still and Doctor Green in regular attendance (we like trees as well, Tawny especially prefers ash ones). 3. If we get ill or hurt, you need to fix it quick! We are dependent on you for this, so never economise on your twice daily checks and a call to the vet, whenever you see a problem. 4. We need company of our own kind, so don’t try and fob us off with sheep and goats. We groom each other, talk about our owners, the weather etc and it just doesn’t work with other species. Be understanding about putting boys with boys and girls with girls as well; there are some combinations which just don’t mix – right Glory? N.B. A word for the donkeys. A donkey needs another donkey. They are not quite as easy-going as the rest of us equines about companions, so do the right thing and let a donkey have his own donkey friend. We need a patch of dust (if you are Paddy) or mud (if you are Tilly or Arnie) so that we can have a good roll as well – and you need to be endlessly good-tempered about grooming us. 5. And while you are sorting out these terms and conditions, don’t forget that we need a life which is free of fear. Don’t confine us where people who don’t understand horses will scare us half to death: our instinct is to run and we can get really hurt if we are made to panic. Now, a word about training techniques – you know the sort of thing: wrapping us up in plastic bags and prodding us with sticks (never try that one with a Welshie which has been shoved through a sale as a sucker!). We will try our hearts out and do our best to understand you, but be sure to differentiate which is benefiting us and which is grooming your own ego. We can all (without exception) be trained to do lots of stuff, but don’t make us look silly please – we are too good for that. It’s all about the horses – so watch your step! 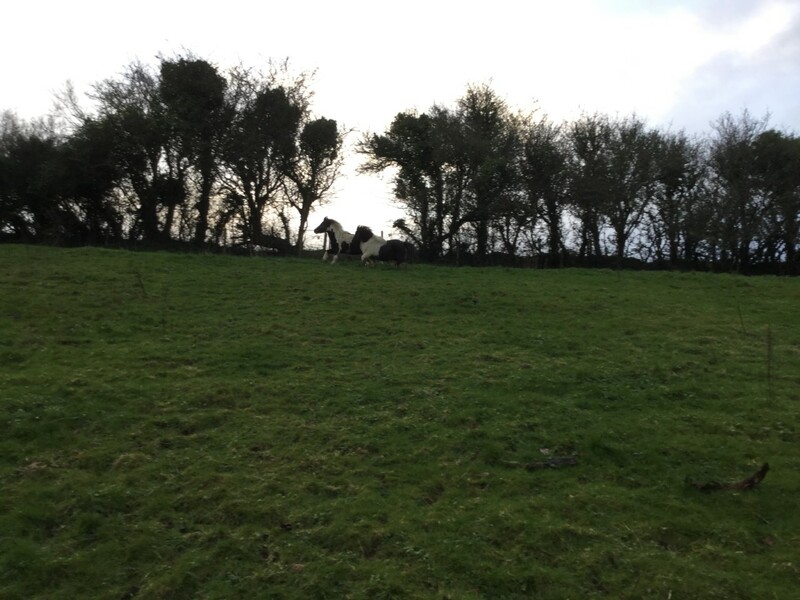 This entry was posted in Hints on horse care, Horse welfare, Life and Times and tagged Animal Welfare, equine welfare, horse welfare, horse welfare; equines; horses and ponies; showing., horses and ponies, life and times, Paddock management, Seaside Donkey on August 13, 2014 by sallylearoyd. It’s not surprising that the horse charities are having a big rehoming push this summer. 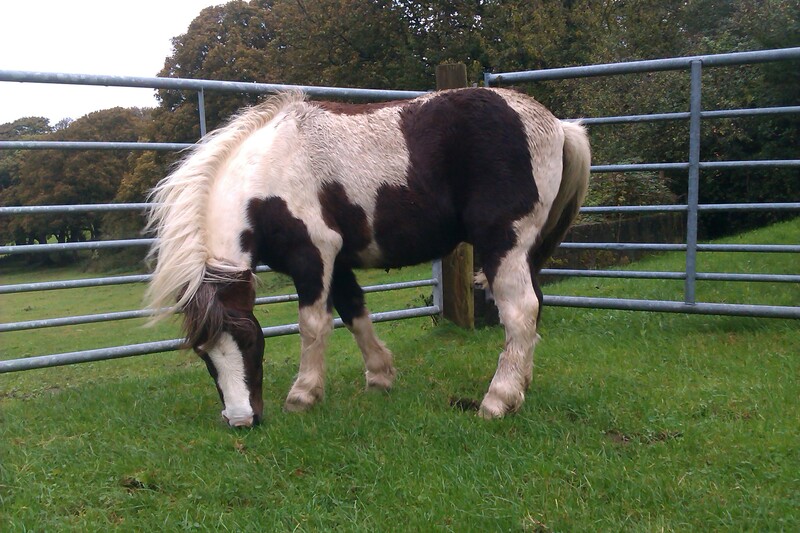 There are so many horses and ponies being bred in the UK at the moment, that there is a huge surplus. The industry does not want to take any responsibility for that surplus, so it falls upon the charities to sort out the casualties. There is a lot of talk about changes in the law and banning fly-grazing, but how much does legislation matter to the average horse owner? My owner doesn’t look after me because there is a law; she does it because she wants to, she was brought up to and she likes me. Rescue horses are ten a penny. Everyone wants to say they have rescued their horse – but actually most people buy them. The process of rehoming is quite different: the horse may eventually be yours to keep, but you must agree to a fair contract with the organisation which is rehoming that horse. Let me warn you right here, that you should not let your heart rule your head. If you go to a centre where the horses look poor and the fields are overcrowded, take note and consult the NEWC. Unless the centre insists on a pre-adoption visit to assess the suitability of your premises, be wary. And if someone offers to drop off your ‘rescue’ horse unseen, be afraid, be very afraid. There are dealers and breeders out there who are cynically jumping on to the rehoming bandwagon in order to pass on unfit animals. 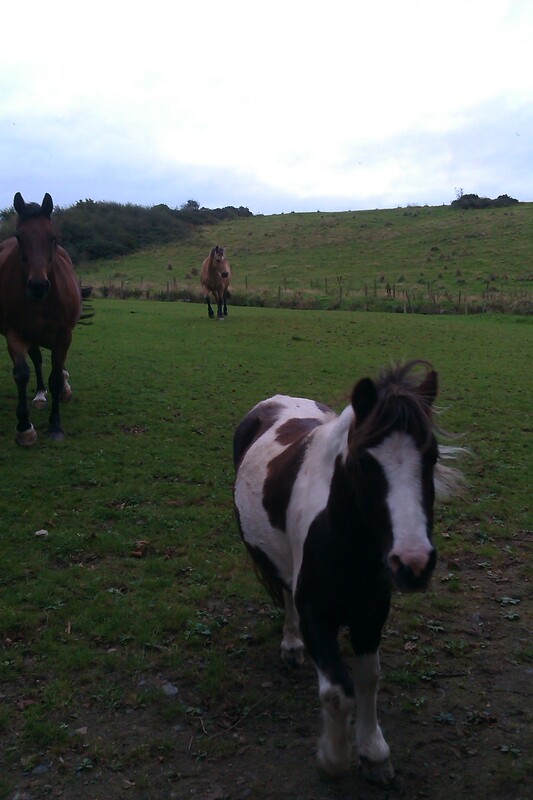 Are you a horse owner, or are you looking for a horse at the moment? Because whatever your situation, as long as you can afford to keep a horse, you should look at rehoming a horse from a reputable charity before you go to a sale or reply to an advert. Consider carefully what type of horse will suit your needs as well as making sure you can meet the needs of that horse as well. Never forget that it’s 24/7, 365 days a year and the responsibility is YOURS. The current ‘push’ is by the RSPCA, a charity which transfers ownership of each horse to its adopter after a short probationary period. If you can’t guarantee to keep a horse forever, consider a foster horse – there is nothing more rewarding than watching a youngster grow and learn. Thanks to the fashion for coloured cobs, and a few very unscrupulous breeders, the RSPCA has lots of sensible hairy babies looking for homes. They are patient, forgiving and repay every bit of attention you give them, with their loyalty and friendship. Although the RSPCA rescued me, so I owe them my life, this scheme is not for everyone. If you can’t commit to a lifetime’s ownership, find a loan scheme! The NEWC charities all work together when horses are rescued and a loan horse from World Horse Welfare, Redwings or Bransby might be the right thing for your individual situation and helps another horse along in life. 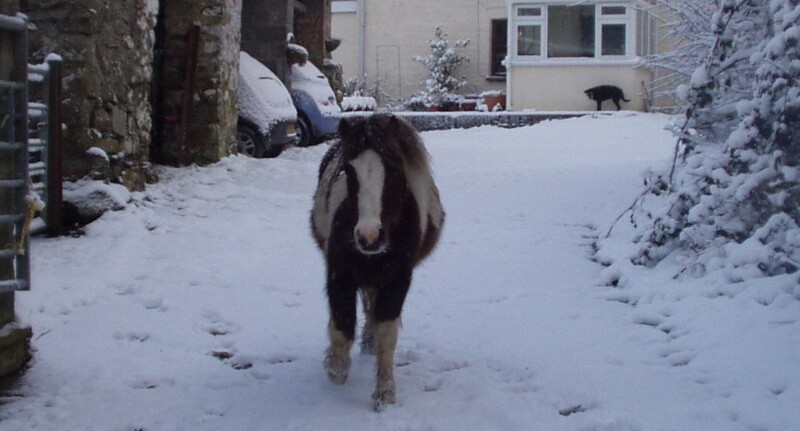 This entry was posted in Hints on horse care, Horse welfare, Life and Times, Uncategorized and tagged Animal Welfare, equine welfare, horse welfare, horse welfare; equines; horses and ponies; showing., Horseworld, Redwings, RSPCA, World Horse Welfare on June 28, 2014 by sallylearoyd. Where will this little foal be? I am only a day old. She was born just yesterday, one of thousands of foals to be produced in the UK this year. The question is, what does the future hold for her? There are a million reasons why people choose to breed from their mare. Some genuinely need a replacement horse for themselves and would like their tried and tested mare replicated as near as can be. Some are locked into a programme of breeding to manage the health of their hill or moorland ponies. Some want to breed the fastest racehorse known to man and others want to win, win and win. And then there are those who cover the mare because she is unsound, either in temperament, or soundness, or both – and they just don’t know what to do with her. Add to that list a small number of unscrupulous dealers who have flooded the market with middle-sized, good tempered coloured vanners and there you have it – a surplus of thousands! 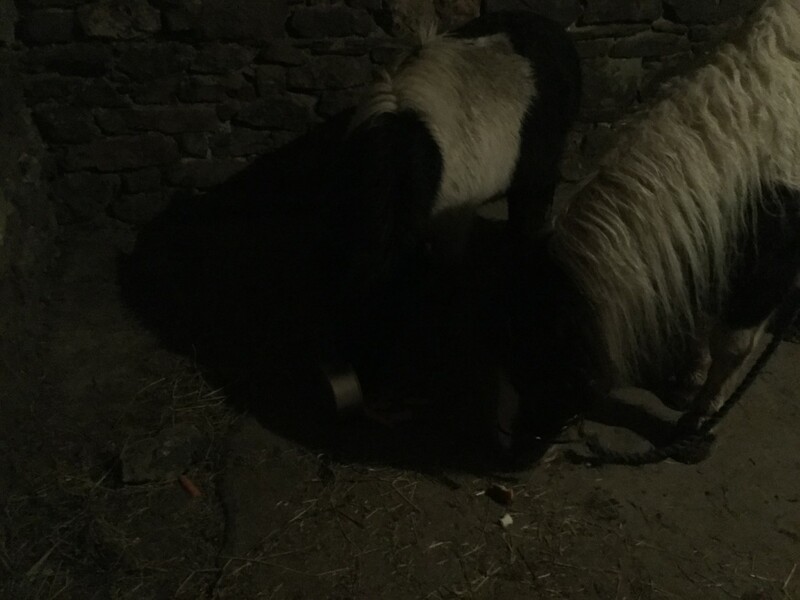 During the last few months, the horse charities have continued to wring their hands and fail to deal with the hundreds of starving horses which herald each Spring of the 21st century. It’s not their fault; they have done all they can, but it is not enough. Still horses are bred by the thousand, with no trade to support the level of production. There has been a high-profile suggestion of late that the UK should take to eating horse meat. Get real! If the British liked eating horse meat they’d be doing it already and if there were a viable export trade, they would be supplying it with chilled horse meat. Eating horses is simply not the answer. The issue lies fairly and squarely at the door of the UK horse industry. It is time to face up to your responsibilities and stop adding to the surplus. How many times do we hear excuses about passing on older horses – you can’t afford the vet bills, you need a younger horse, he’s stopped winning. Did you consider his whole life when you covered that mare? Who is supposed to safeguard his future when you don’t want him any more? In this week’s Horse and Hound, an article covered the breeding of a 1000 Guineas winner – and we are talking the best of the best here. A forebear ‘was exported to India’ – I wonder how her life ended, in a country whose welfare standards are pretty notional unless you are a cow. 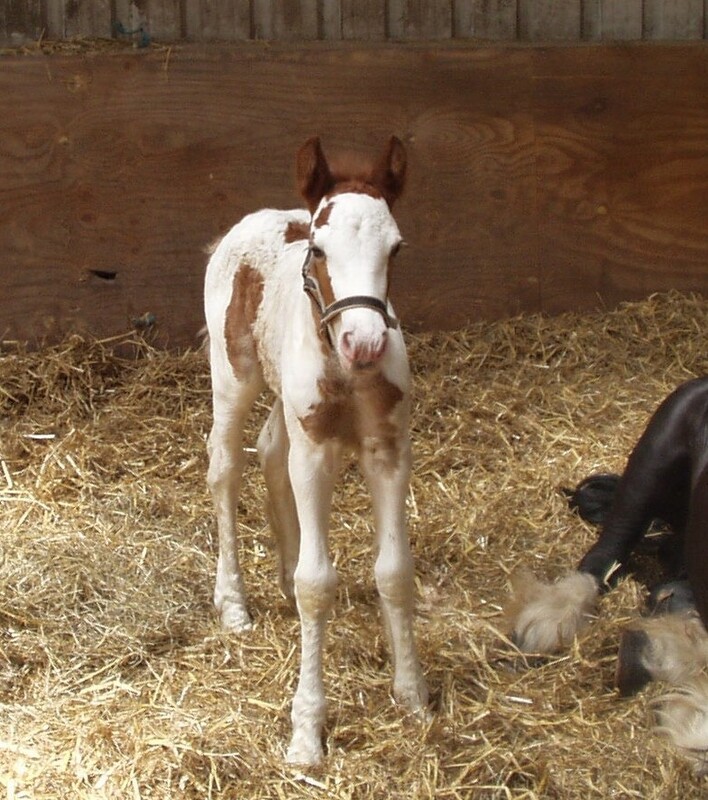 This little foal may be your pride and joy today, but who knows where will she go during the course of her life? Think twice before covering that mare and give me a follow this May if you feel as strongly as I do about this. You see, I was an unwanted foal and I went through a lot before I got lucky. If you can’t feed it don’t breed it. 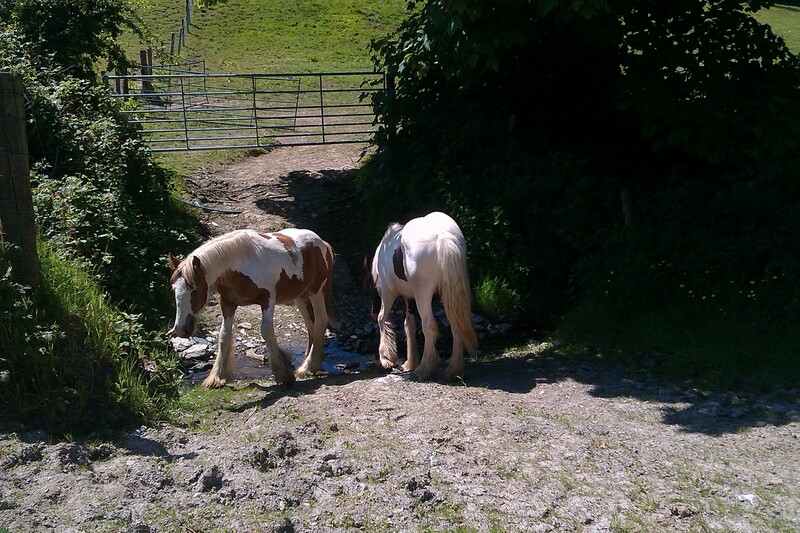 This entry was posted in Hints on horse care, Horse welfare and tagged Animal Welfare, equine welfare, equines, Horse and Hound, Horse surplus, horse welfare; equines; horses and ponies; showing., horses and ponies, Overbreeding, Redwings, World Horse Welfare on May 9, 2014 by sallylearoyd.